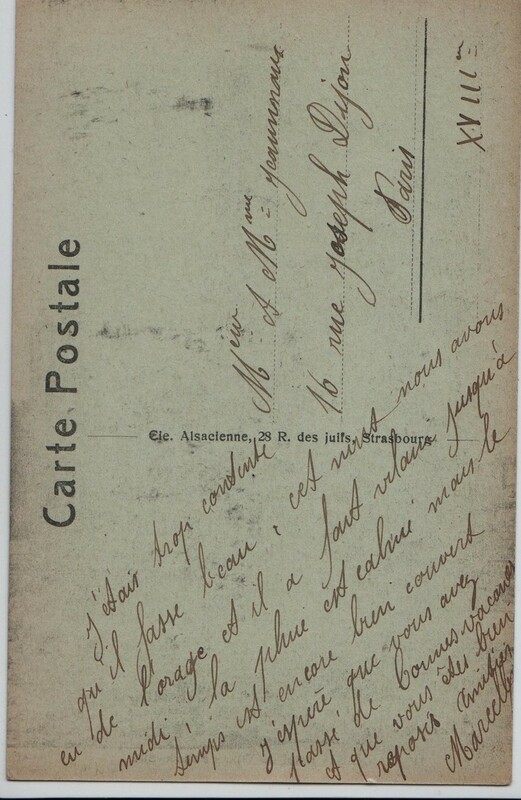 Receive from the one who loves you sincerely, all his most affectionate kisses. 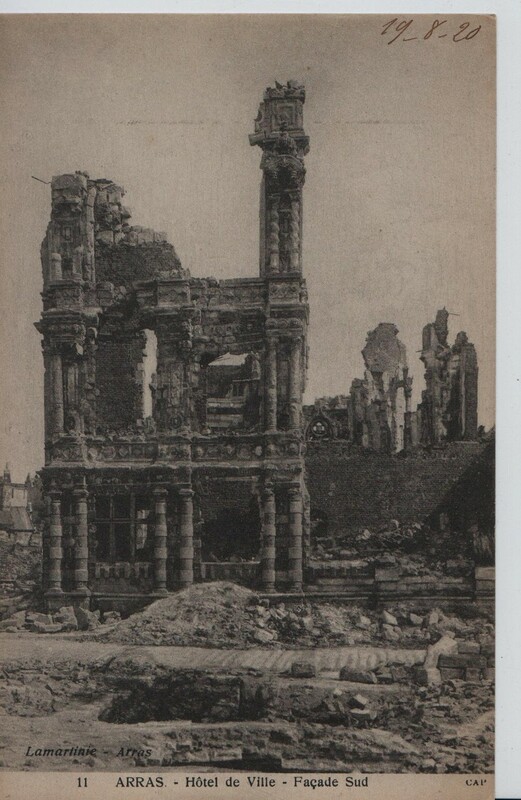 Concerning what I said about the length of the war, I really think that this is going to last the all year if not more. 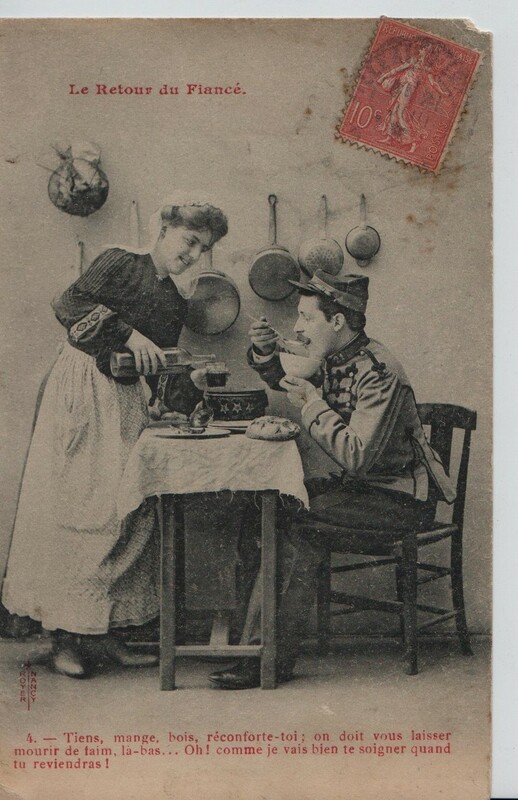 Good kixsses. 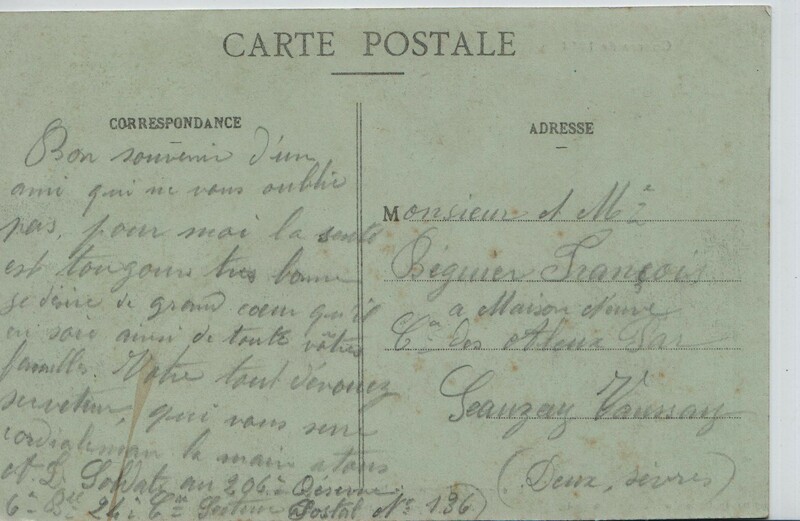 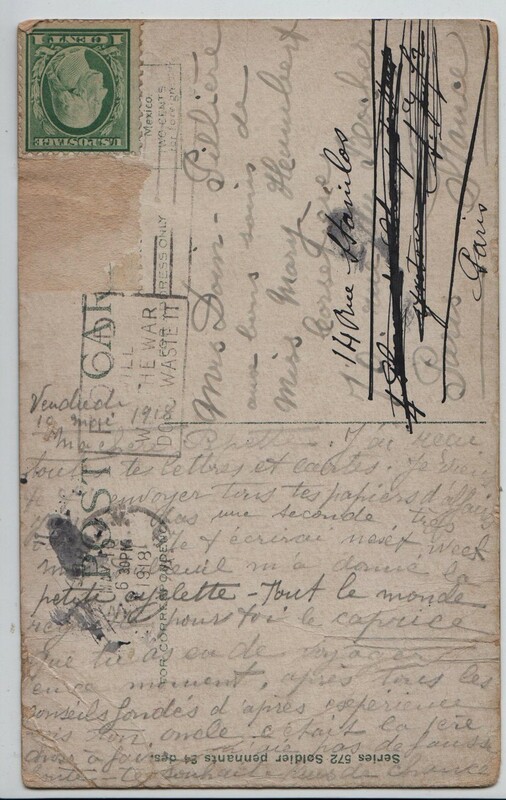 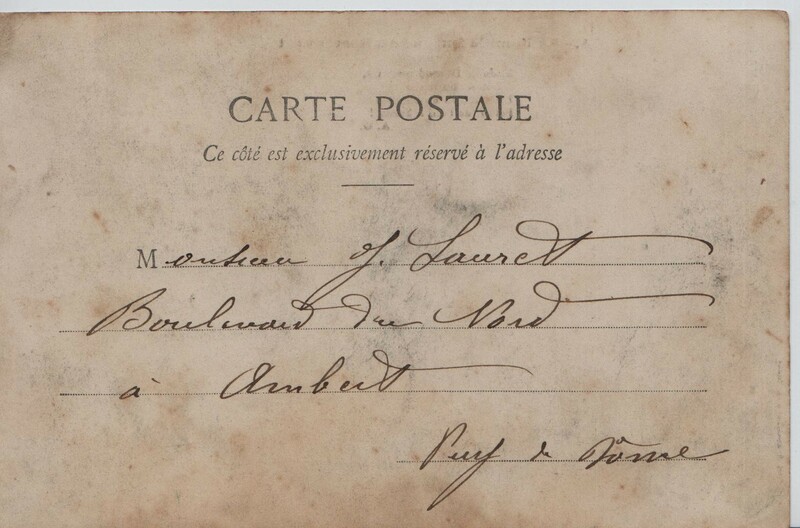 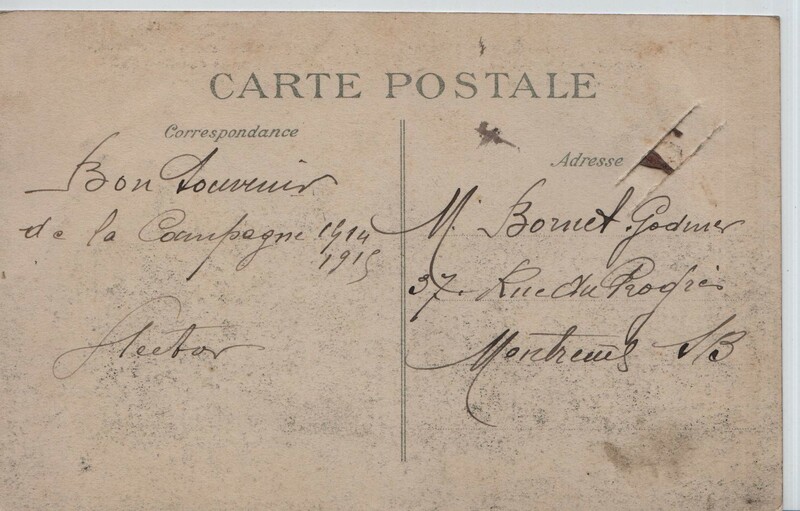 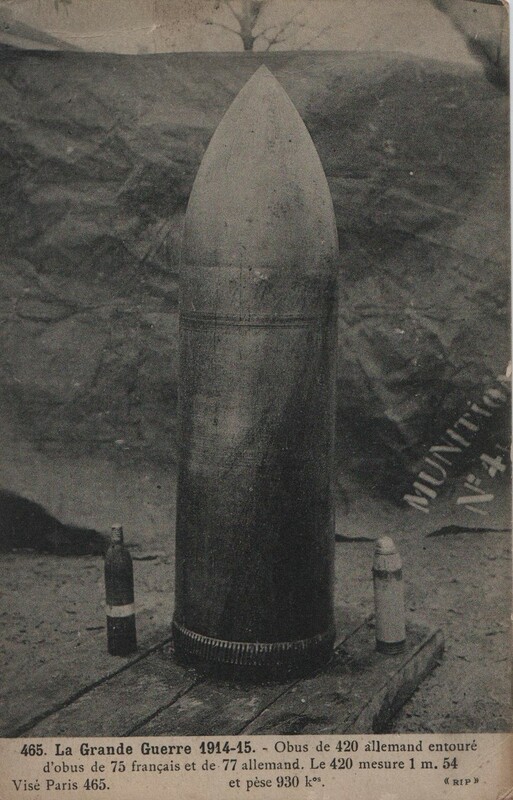 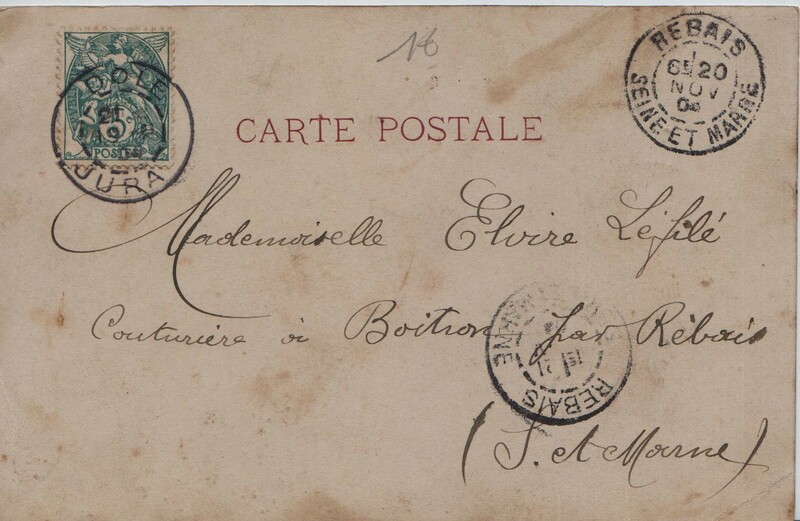 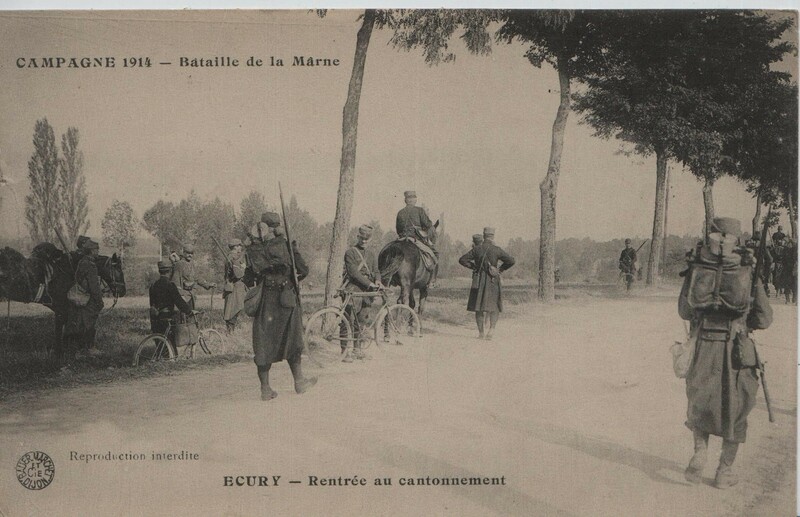 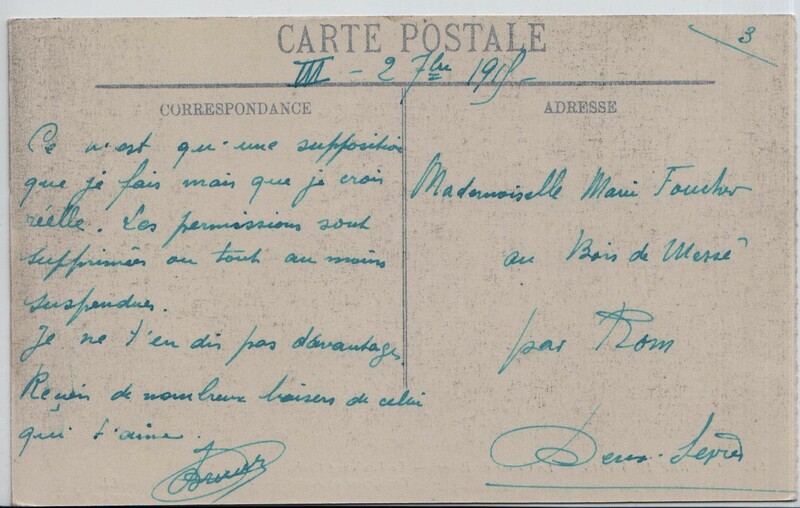 Note: See card 46 in group 9 also addressed to Marie Fouchet - the length of the war and possible reasons for its end were already discussed by the same correspondent. 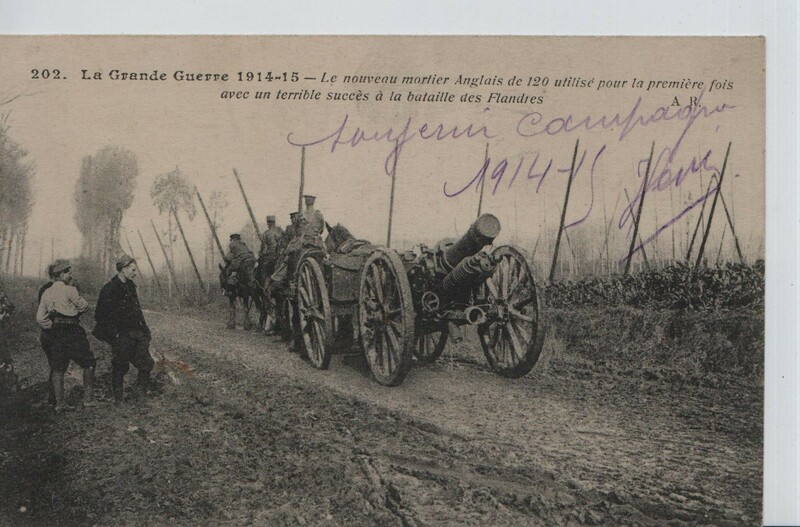 There is no date on these two cards but they possibly date from 1915-1916 as the photos show pictures of the war in the year 1914-1915. 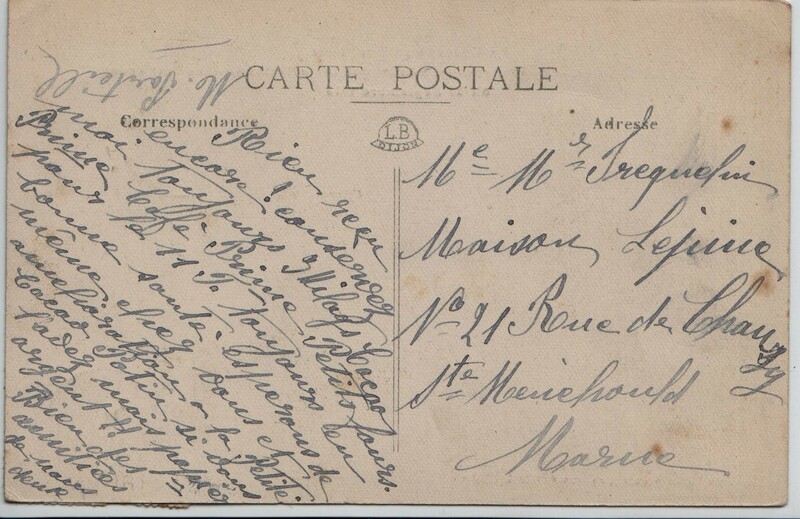 A little word on a little card will make you happy; health on my side is always good. 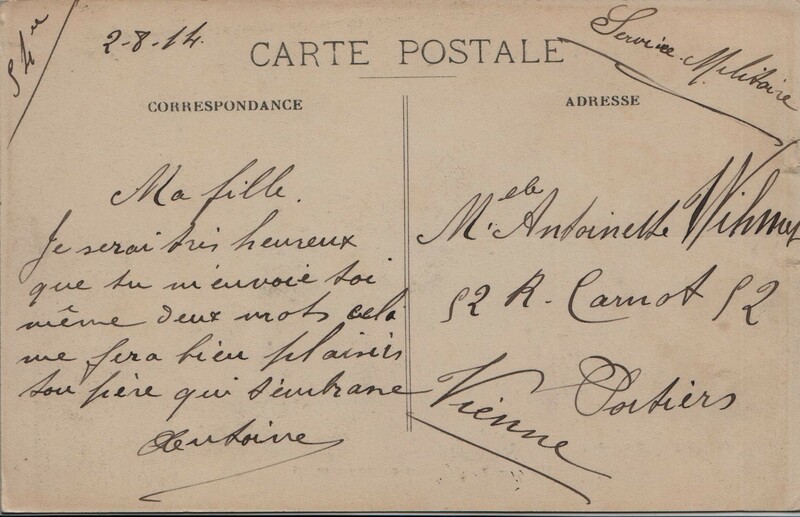 I warn you that from yesterday letters will probably come less regularly. 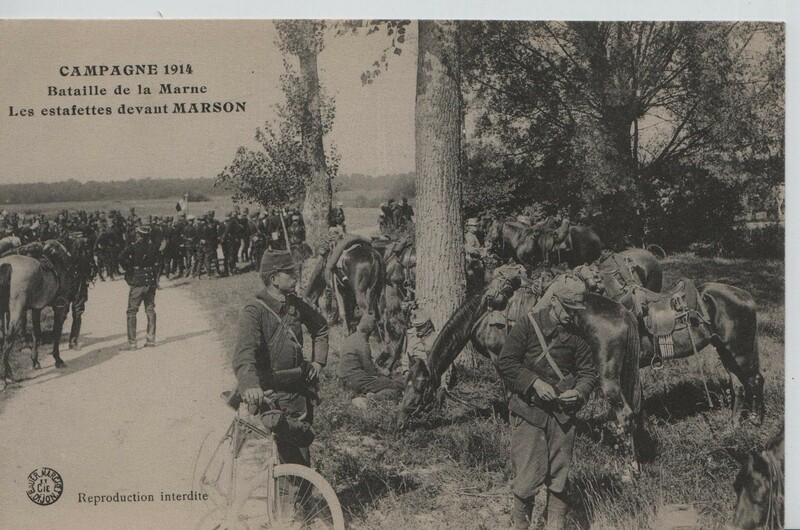 We have changed position- we are closer to Arras and rest has been completely suppressed. 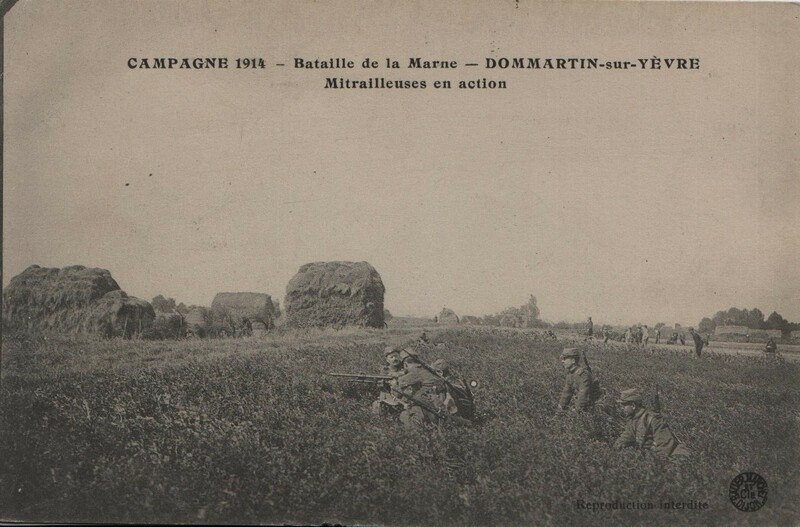 We are permanently on alert; we sleep in holes right in the middle of fields. 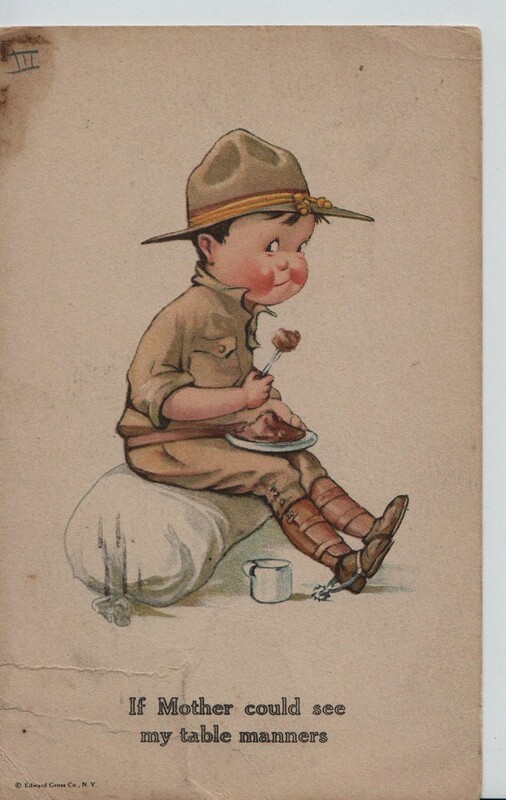 The sweet little things we have enjoyed have disappeared. 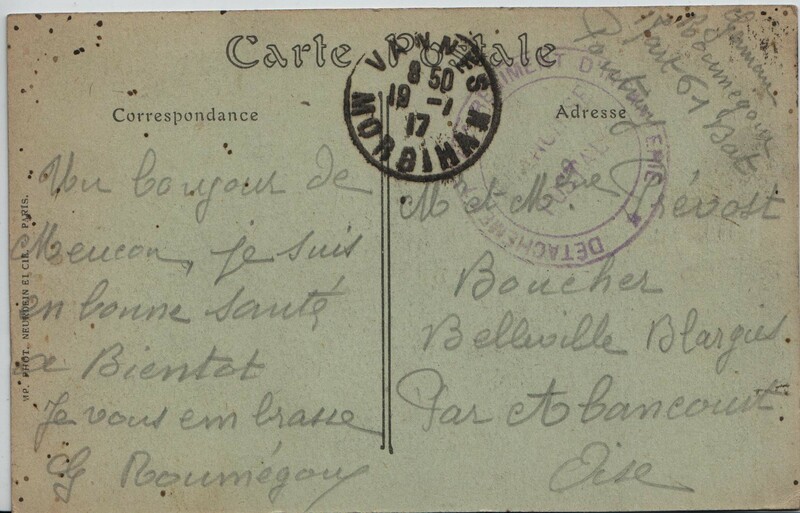 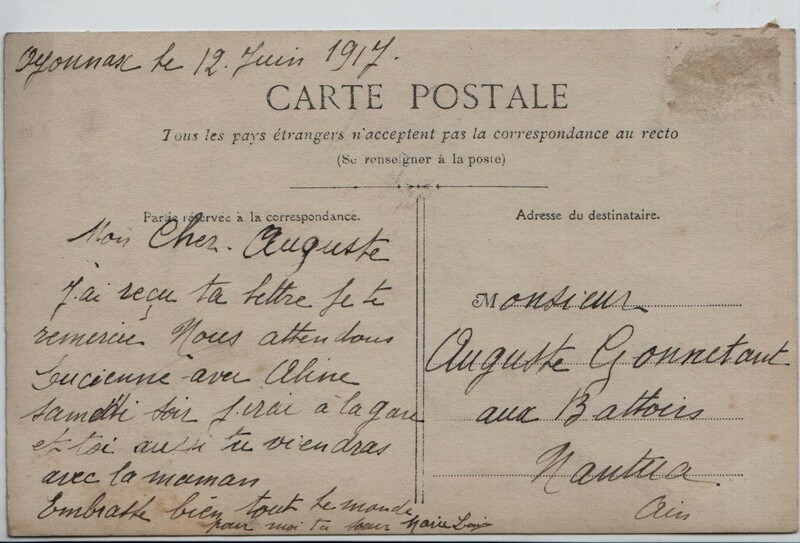 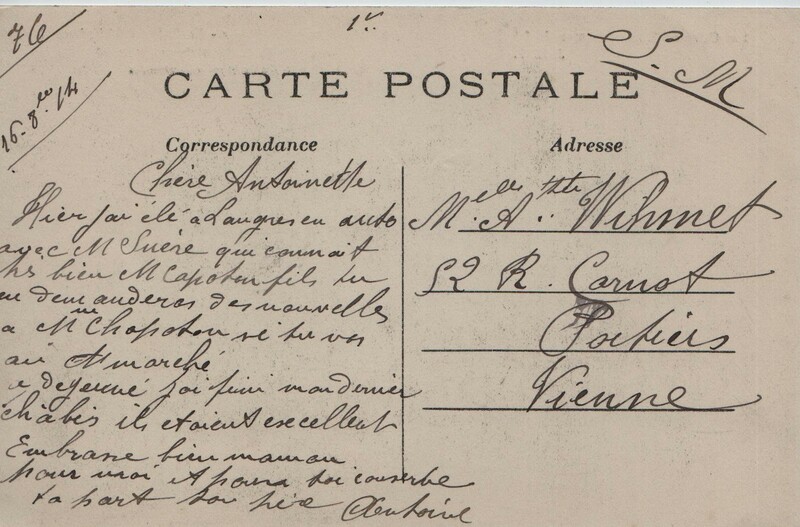 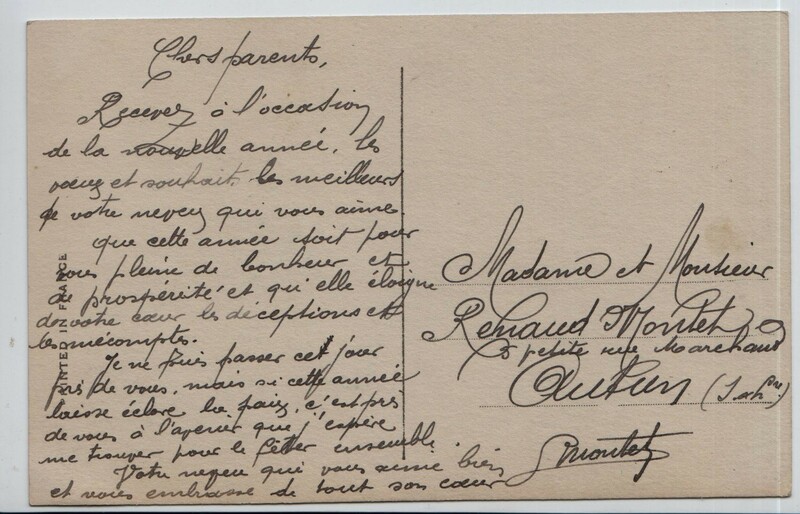 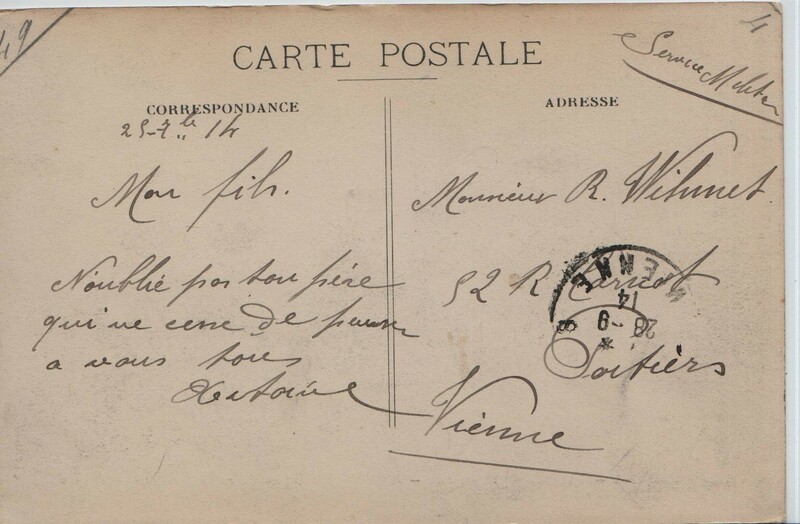 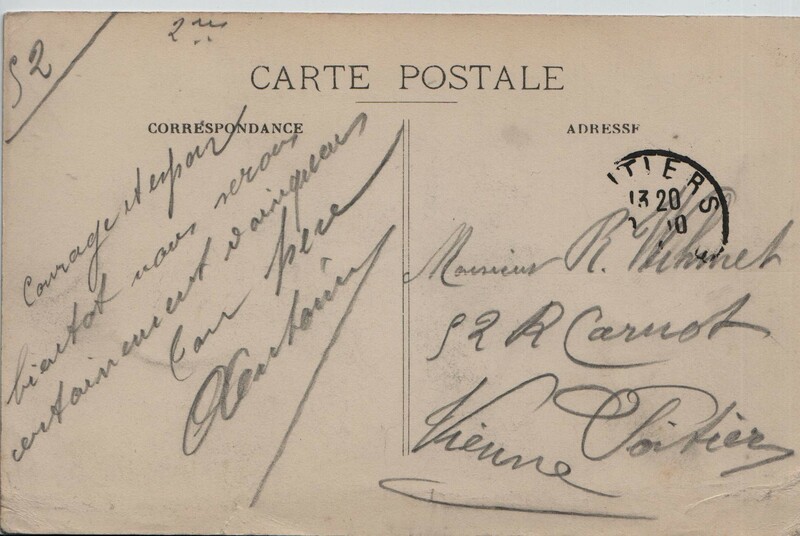 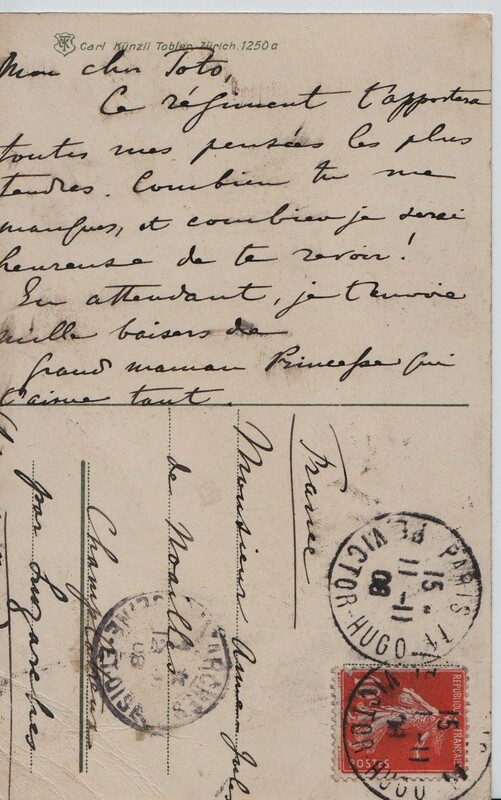 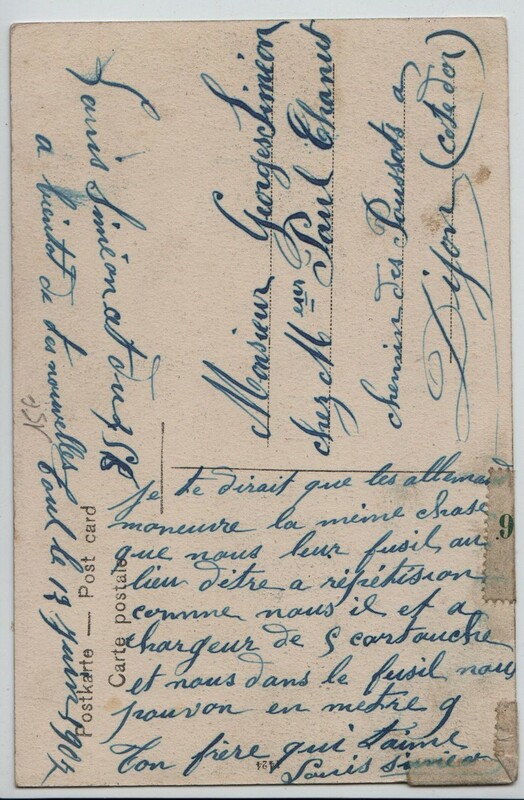 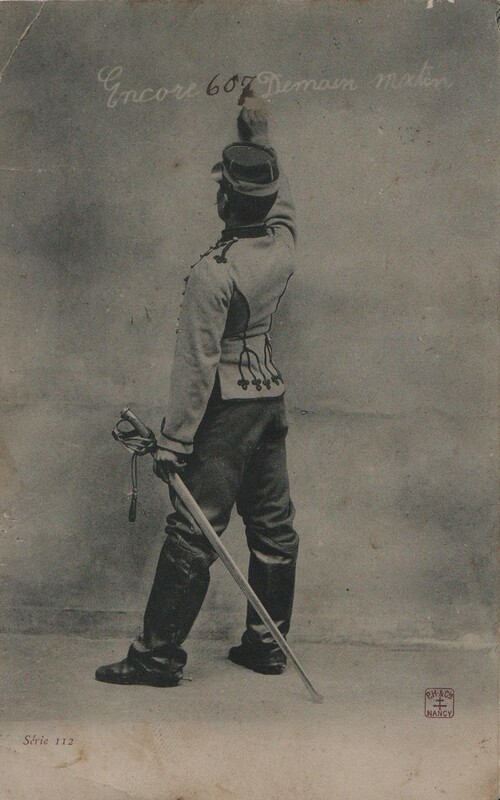 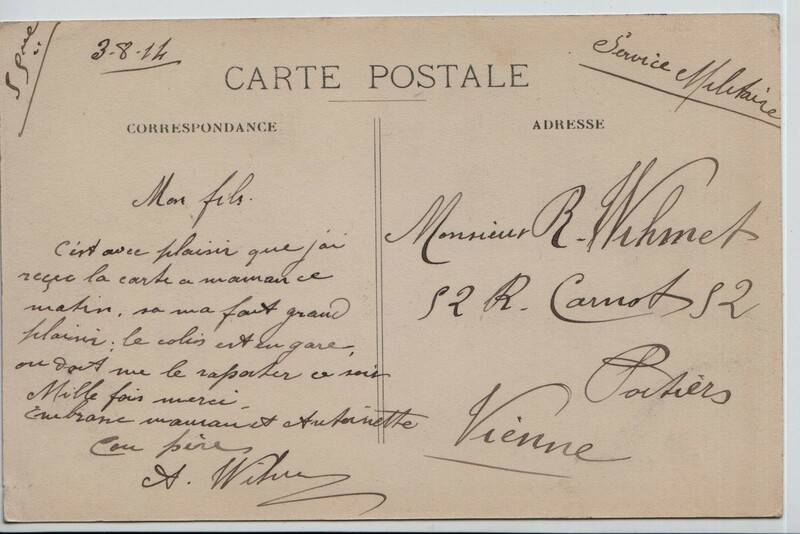 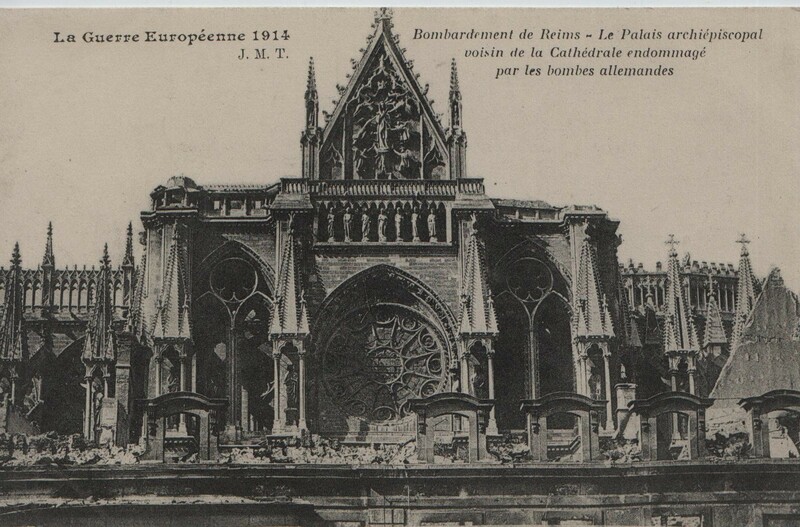 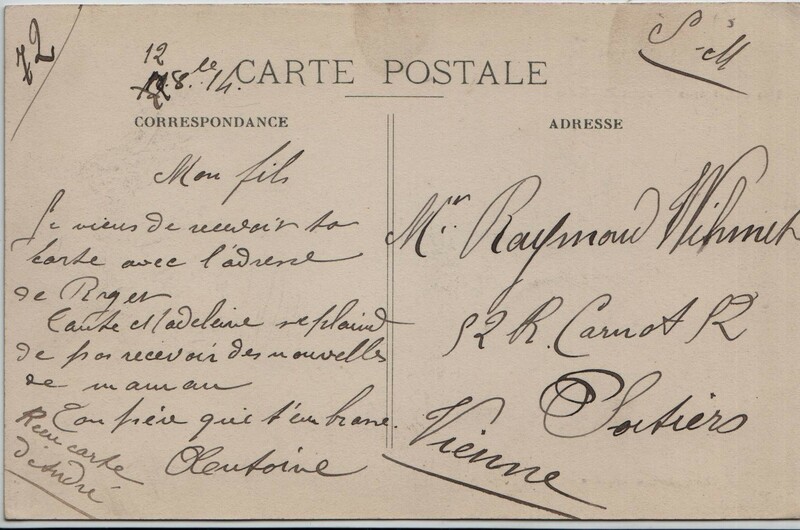 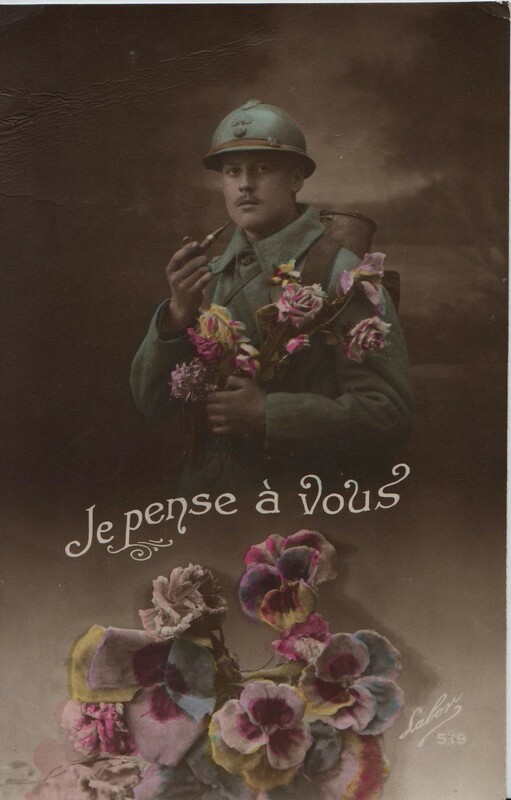 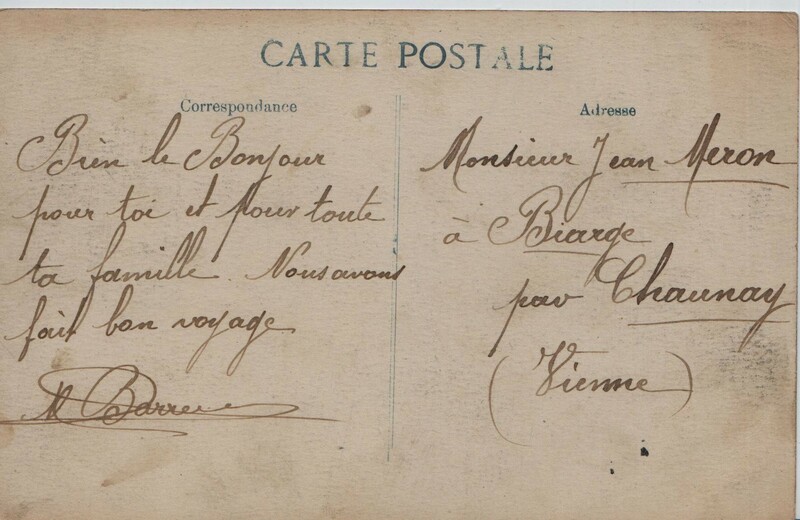 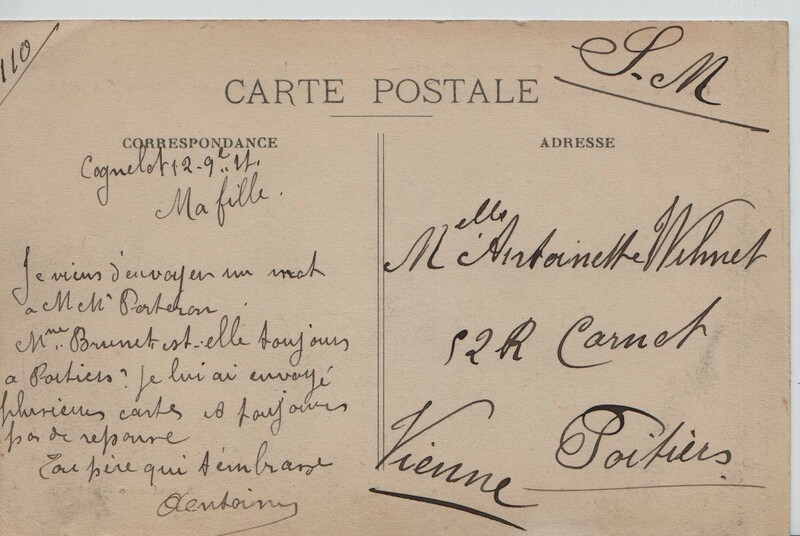 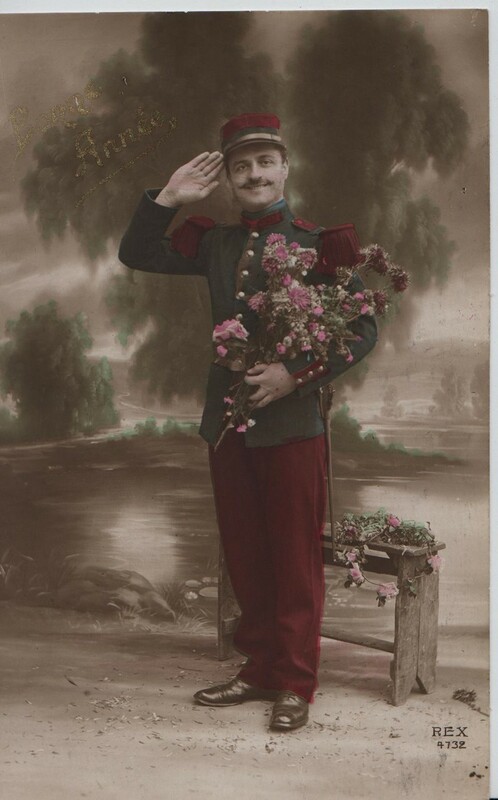 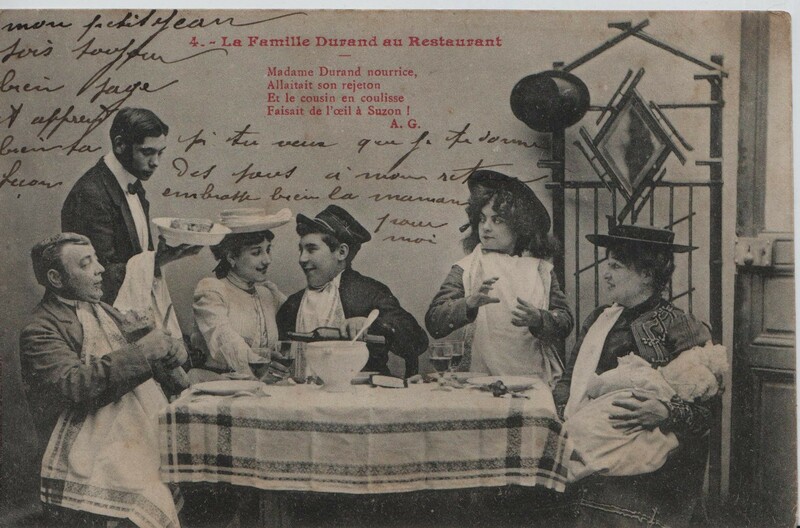 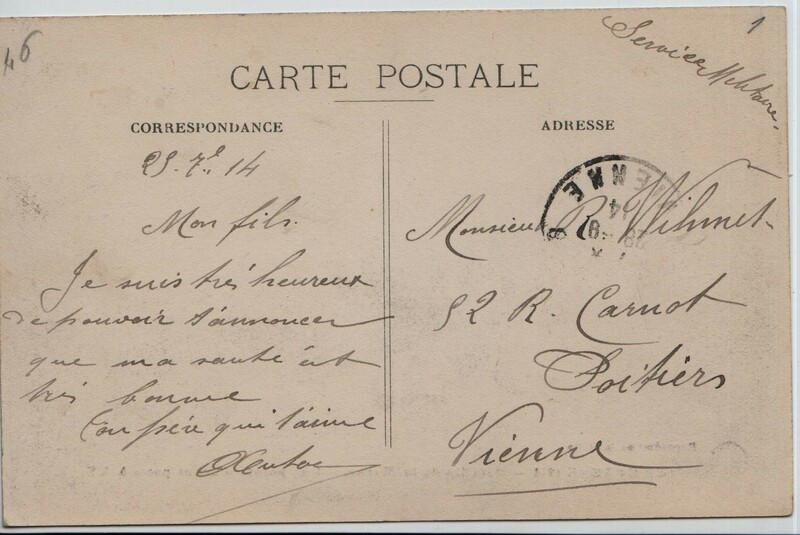 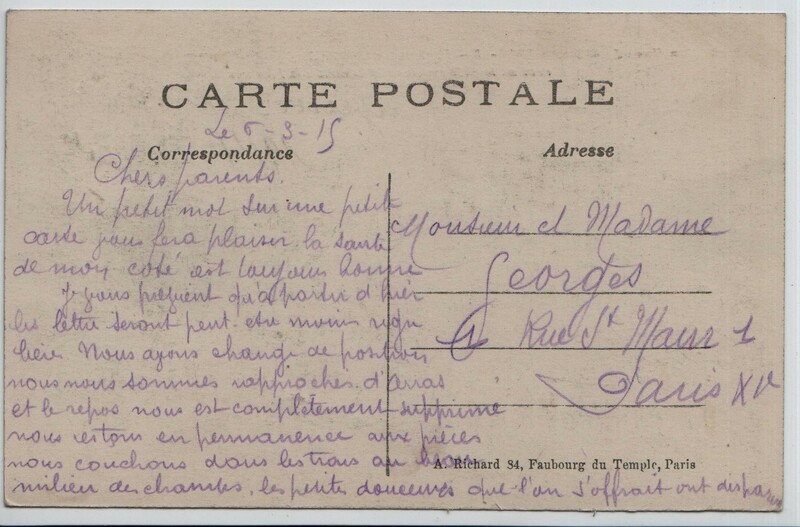 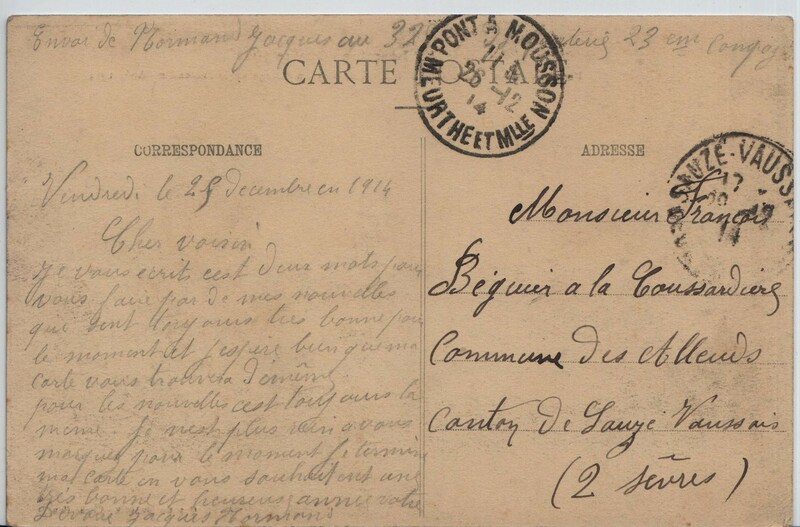 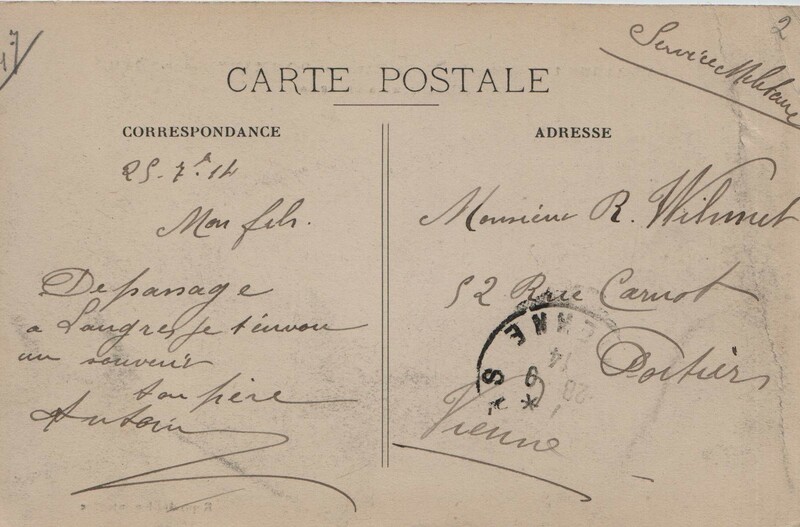 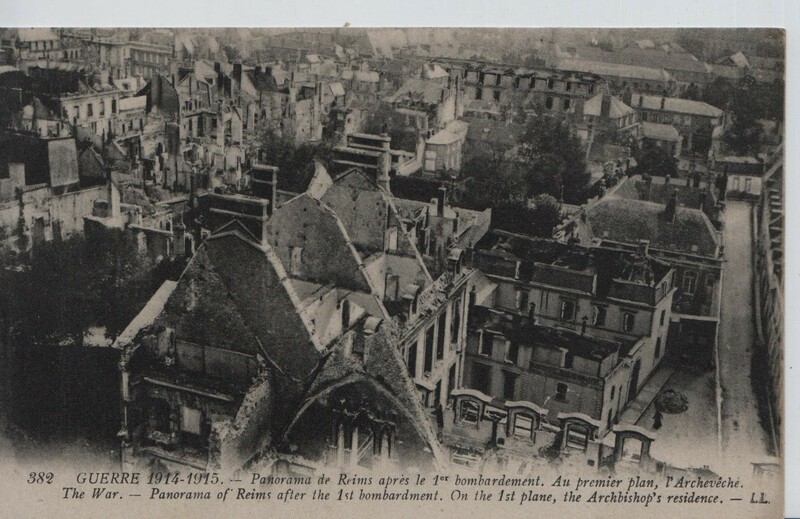 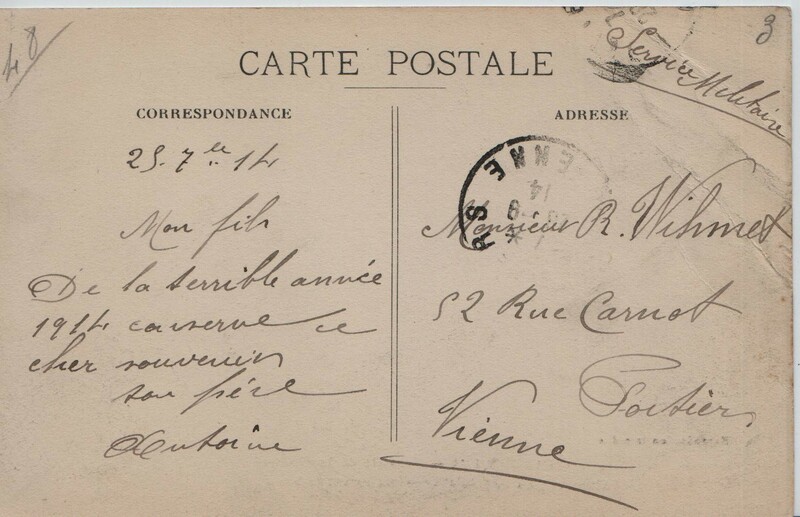 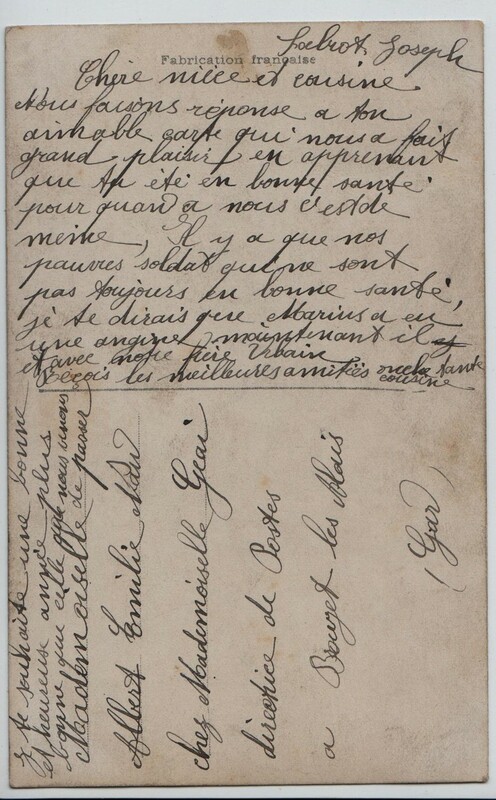 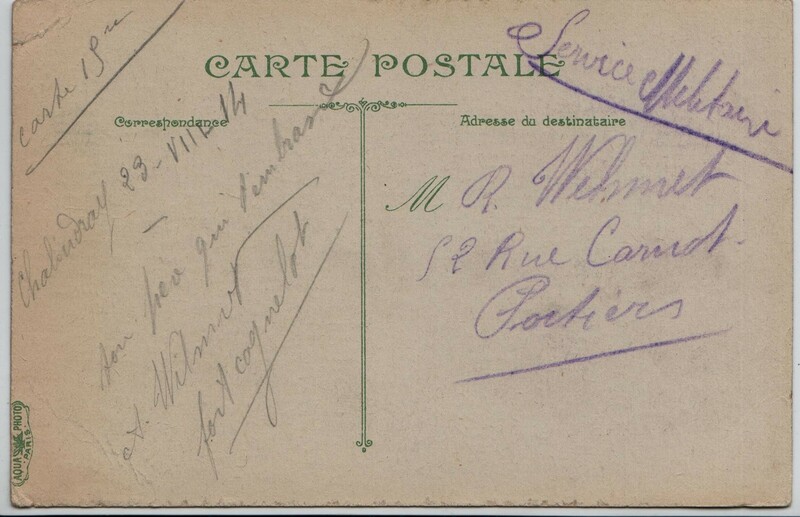 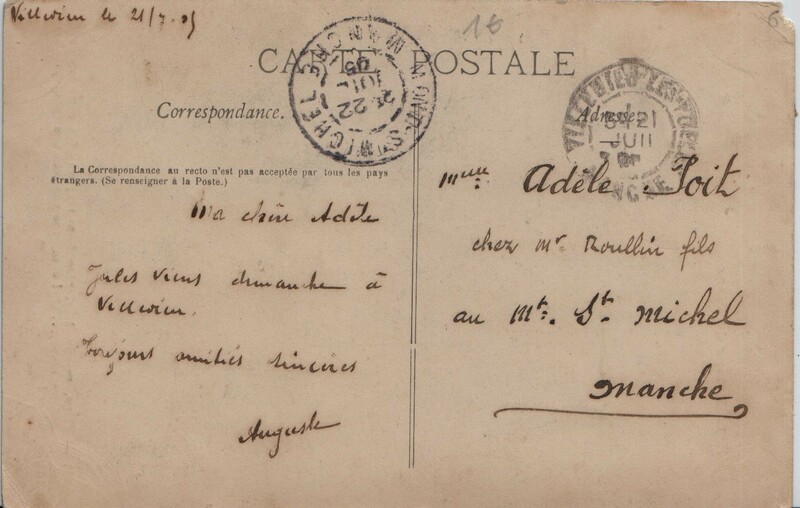 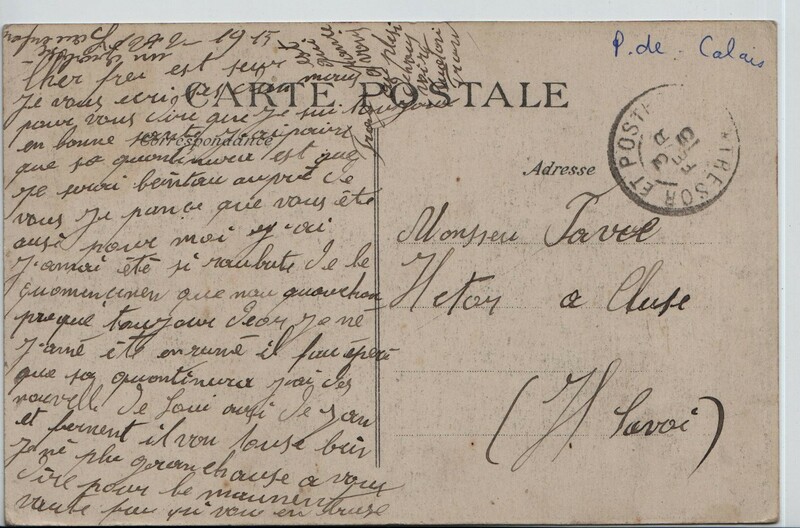 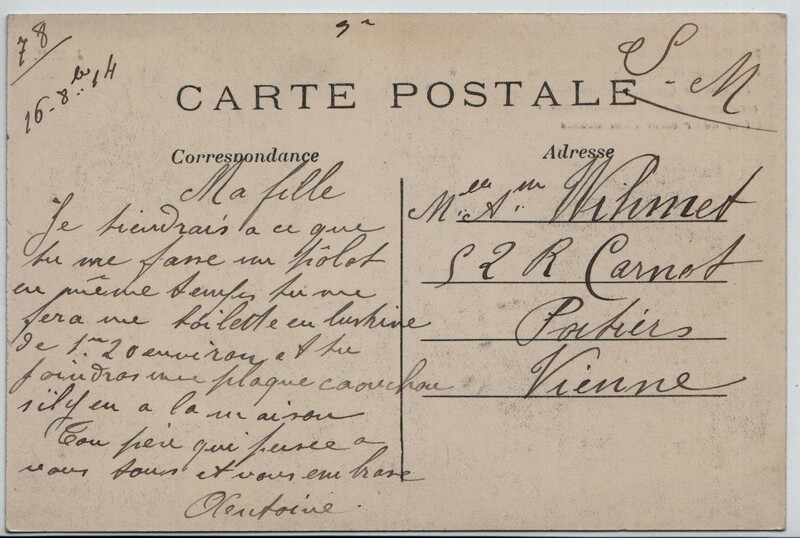 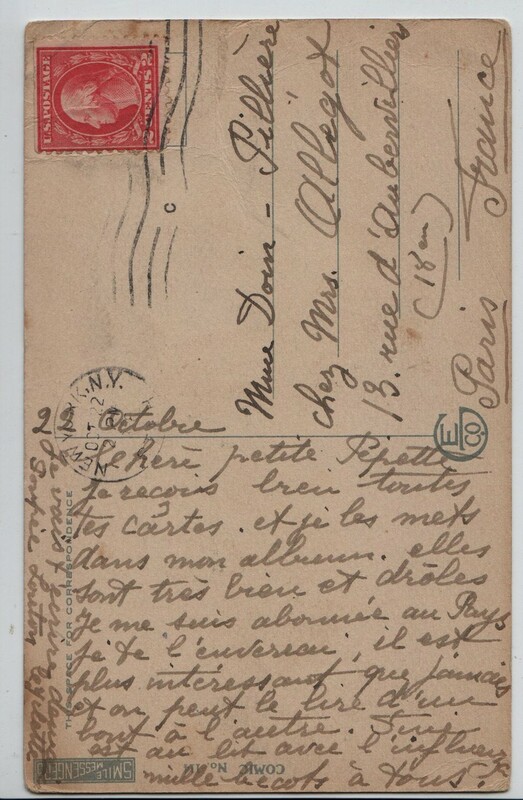 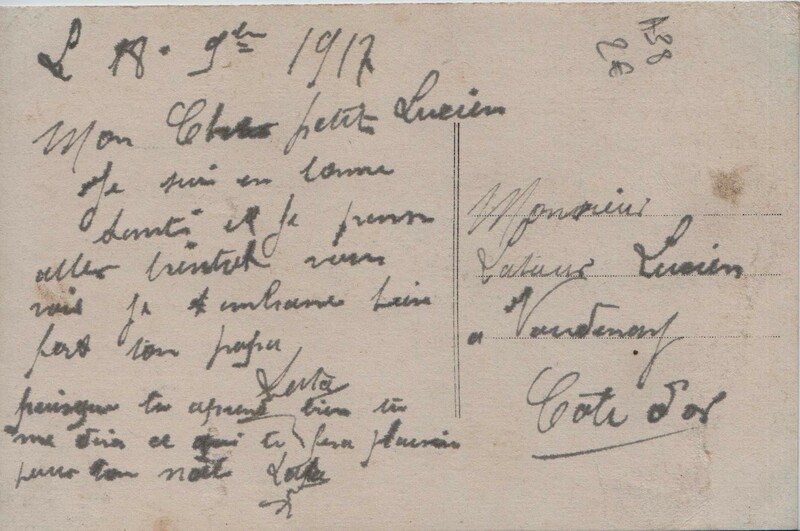 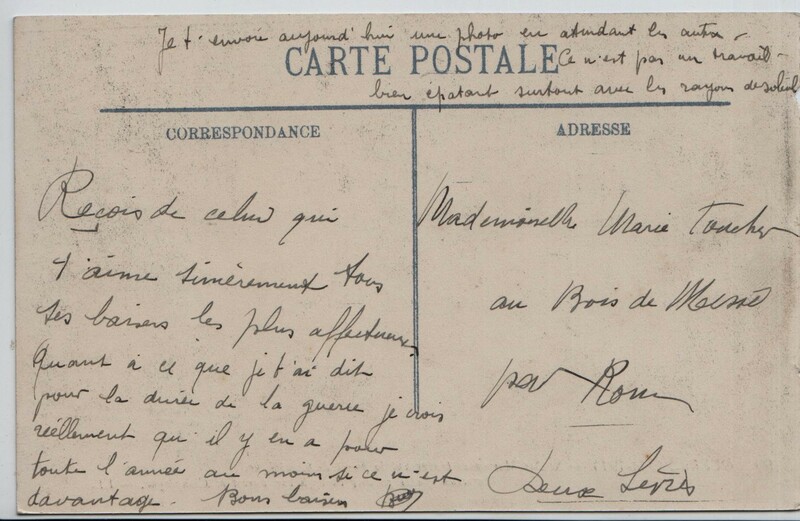 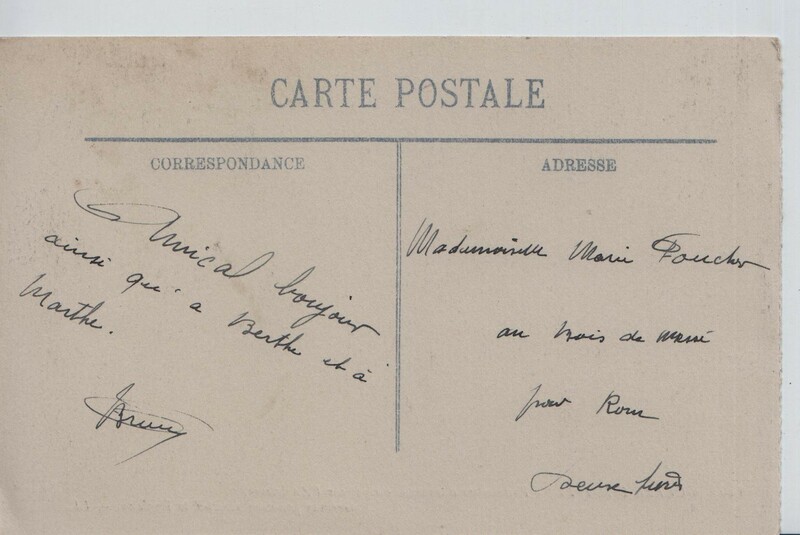 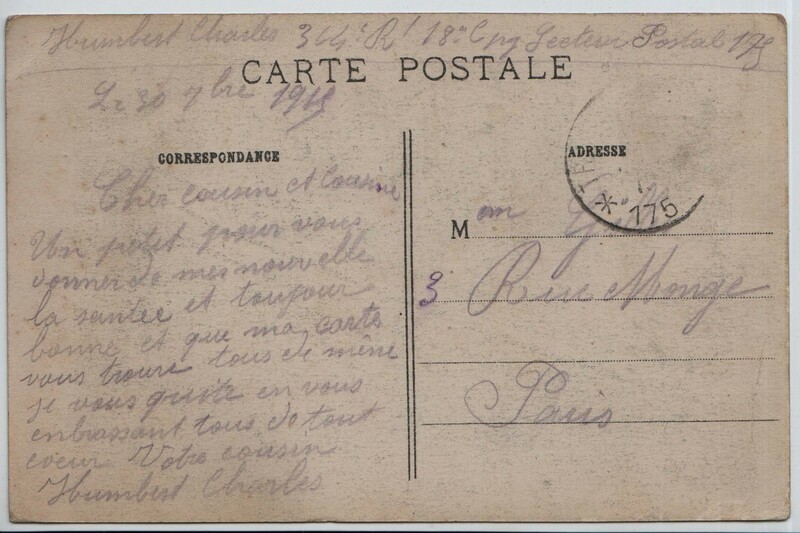 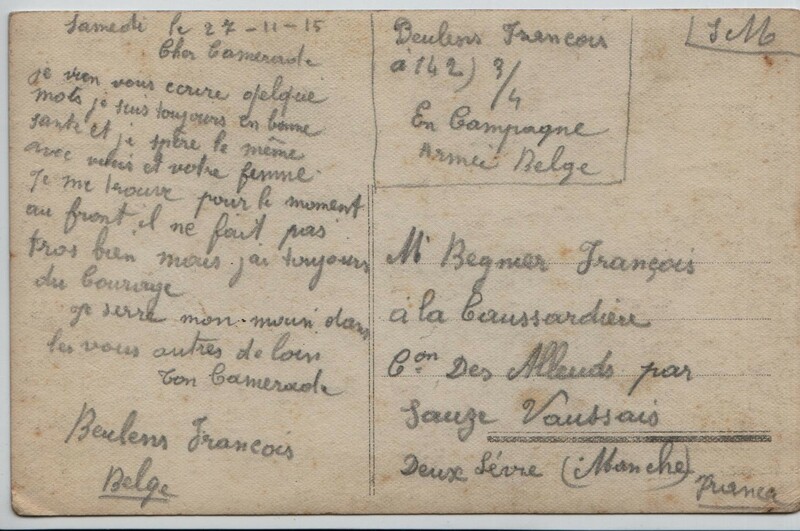 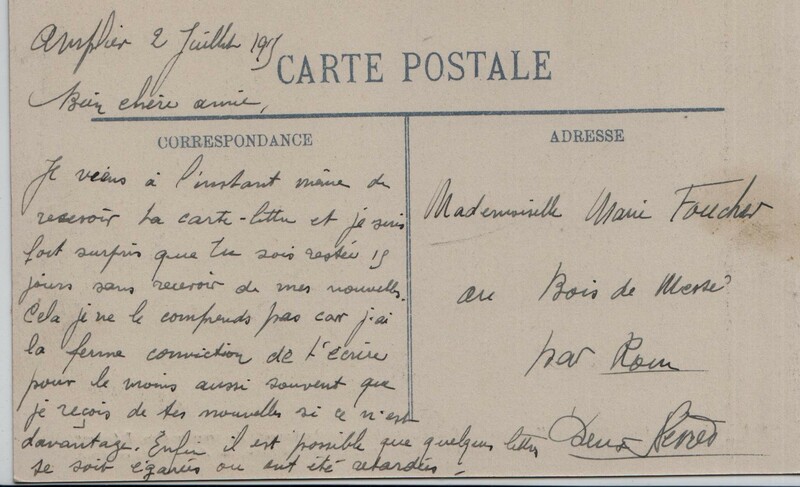 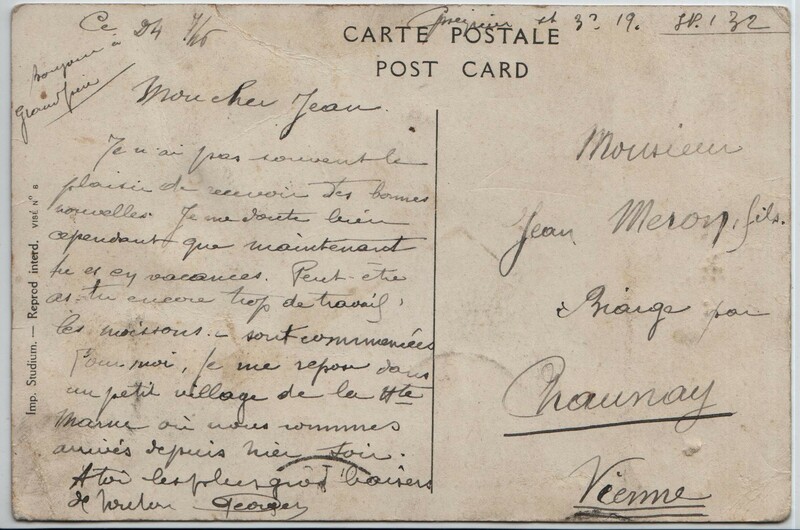 Note: this postcard, written by a certain Henri Georges to his parents who lived in Paris, is dated of 6th March 1915. 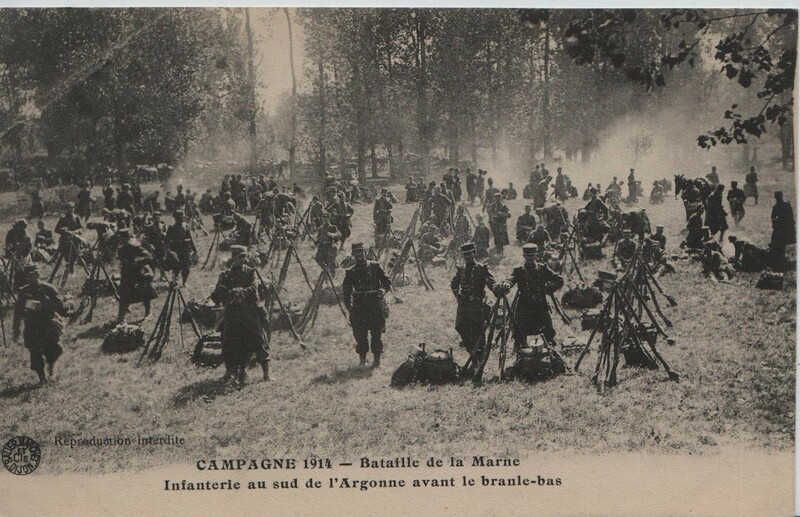 Henri has moved from a comfortable position (at the back) to the front line and finds himself sleeping in “holes” in fields (trenches). 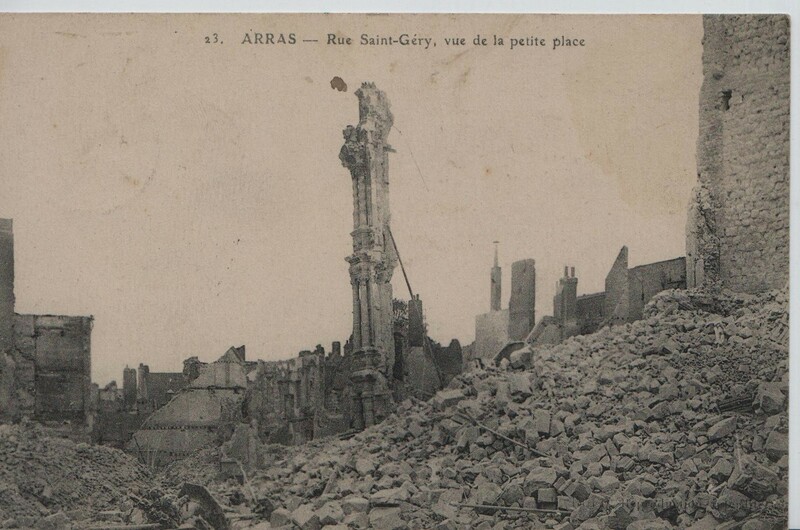 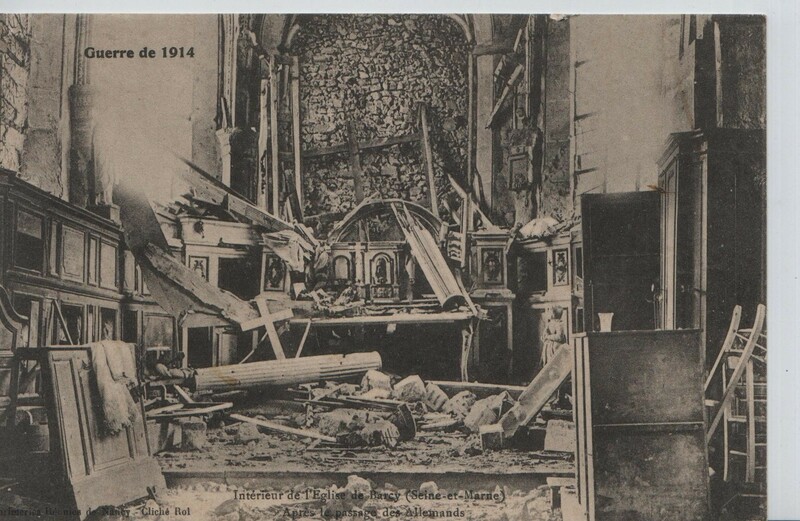 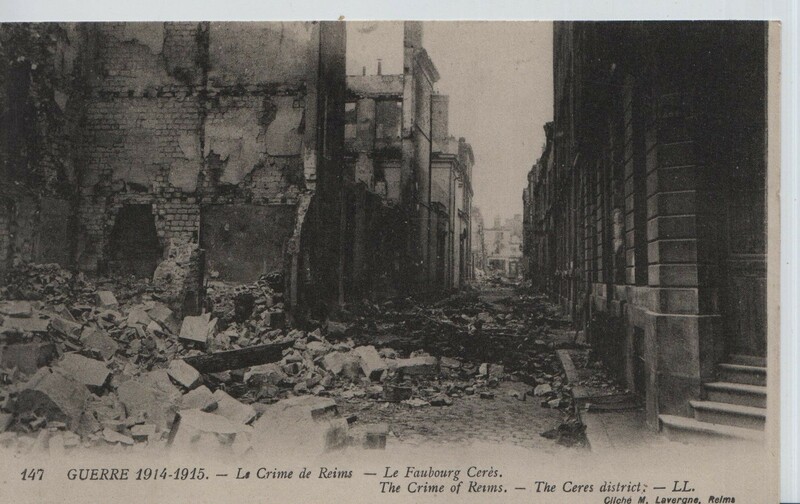 He is now close to Arras, one of the main towns on the front line and the scene of much destruction. 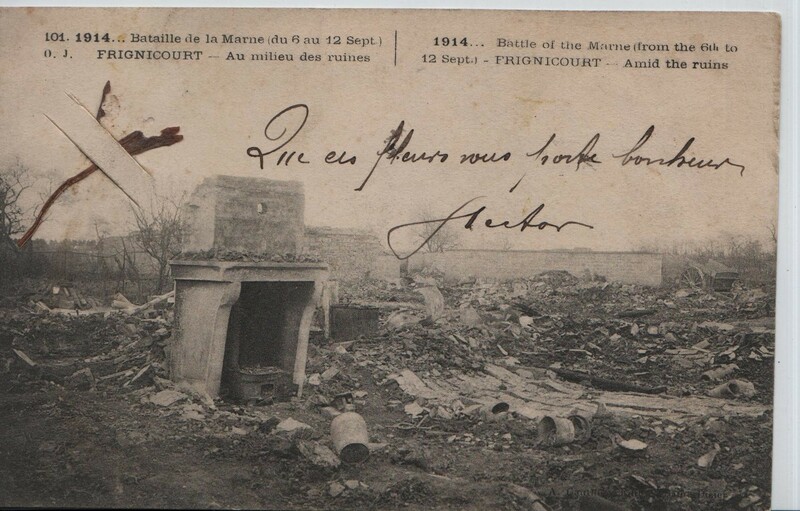 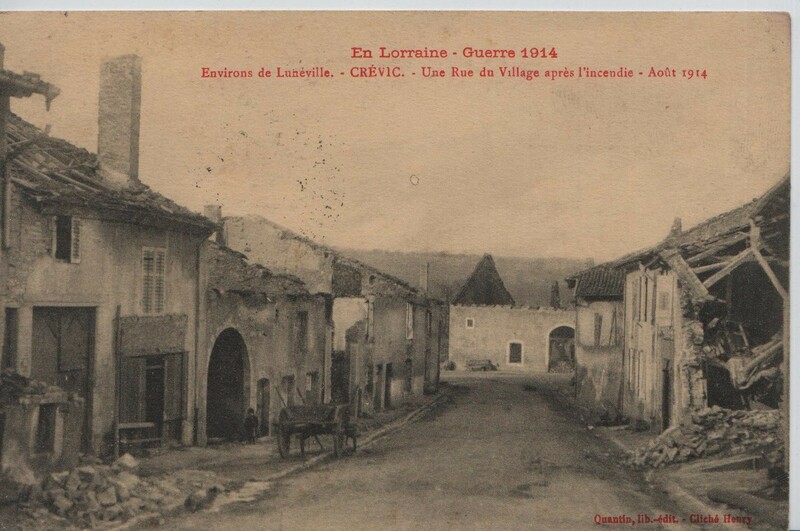 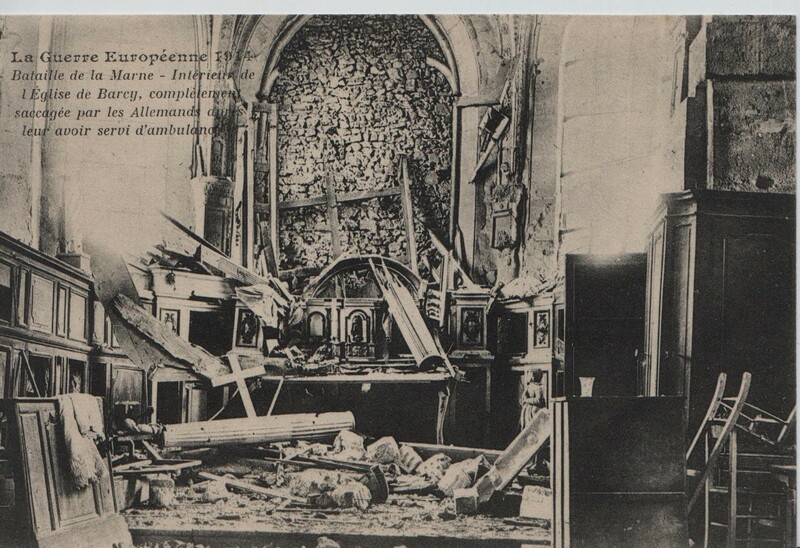 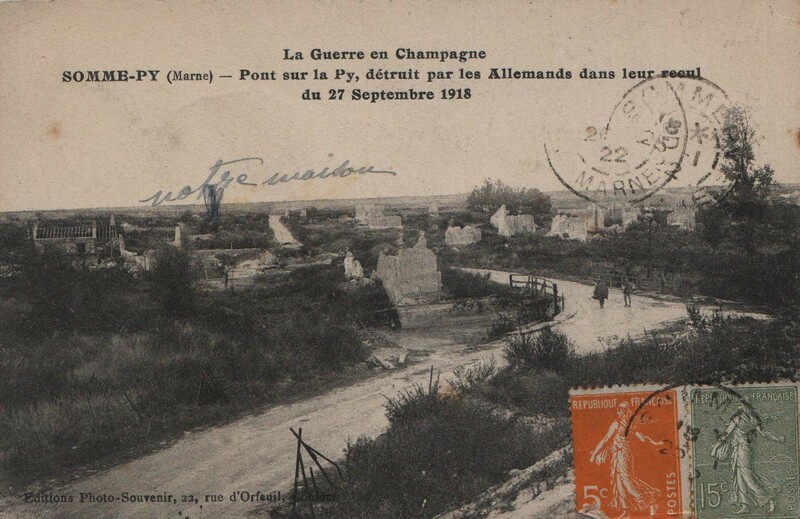 This postcard was written two months before the second battle of Artois (9 May-18 June 1915) - a major offensive by the Allied and an attempt to take control of two major strategic points in the immediate North-East of Arras: Vimy Ridge and Lorette Spur. 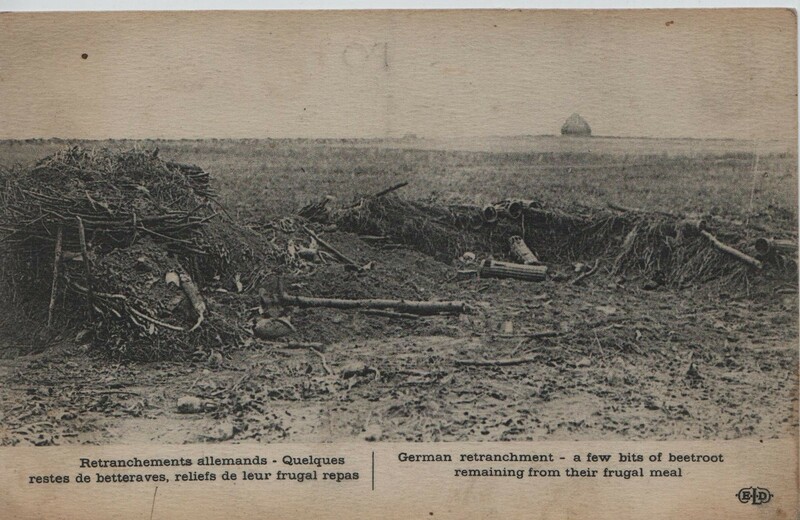 The Germans had been controlling these two heights since 1914 and previous efforts to dislodge them had been unsuccessful. 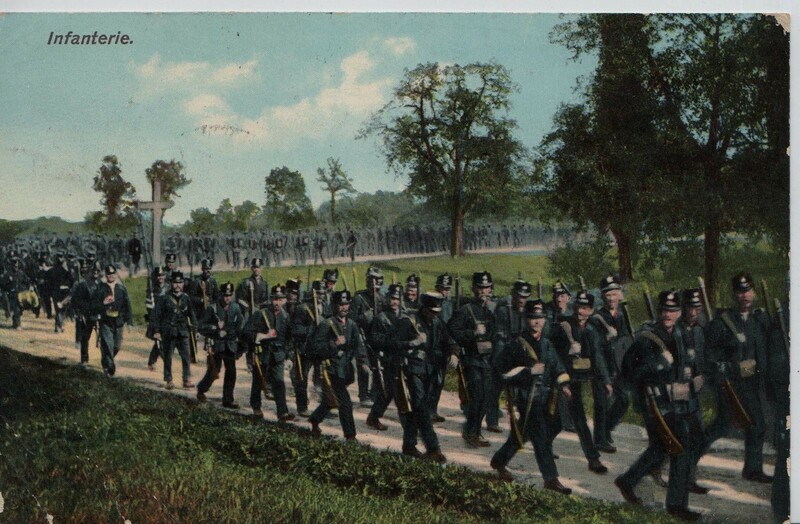 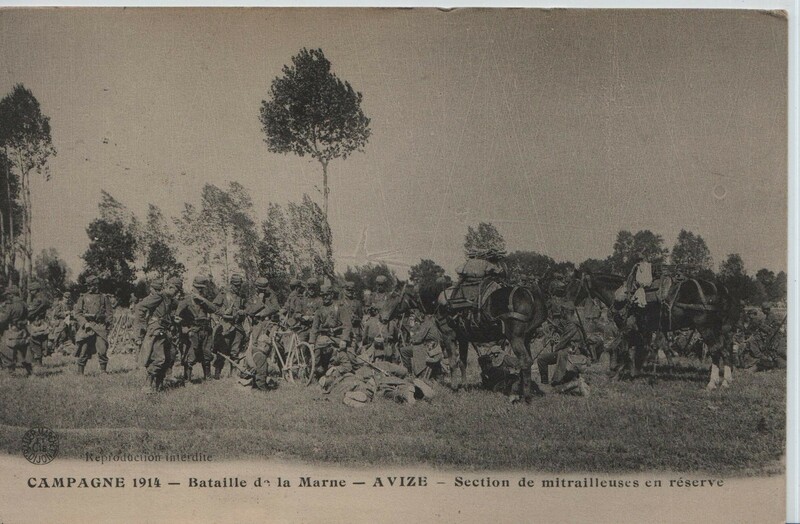 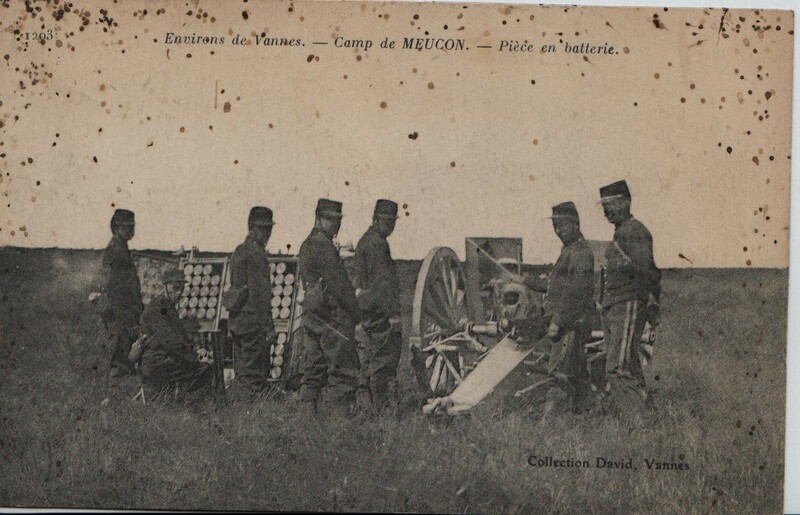 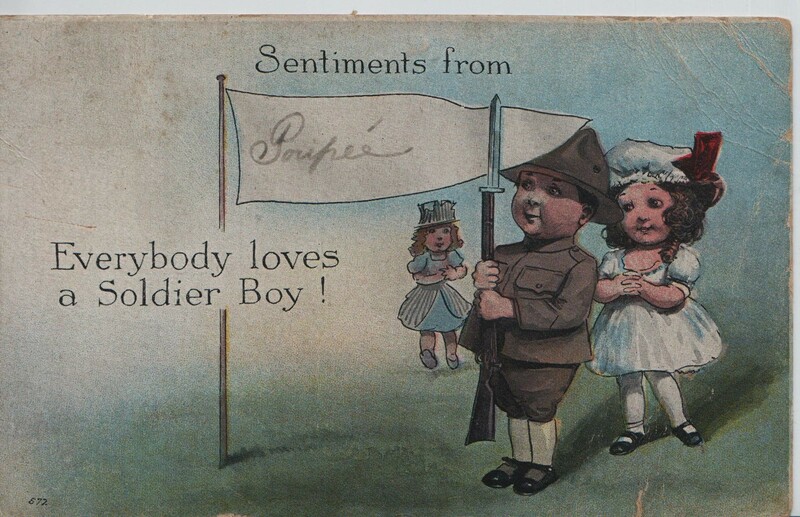 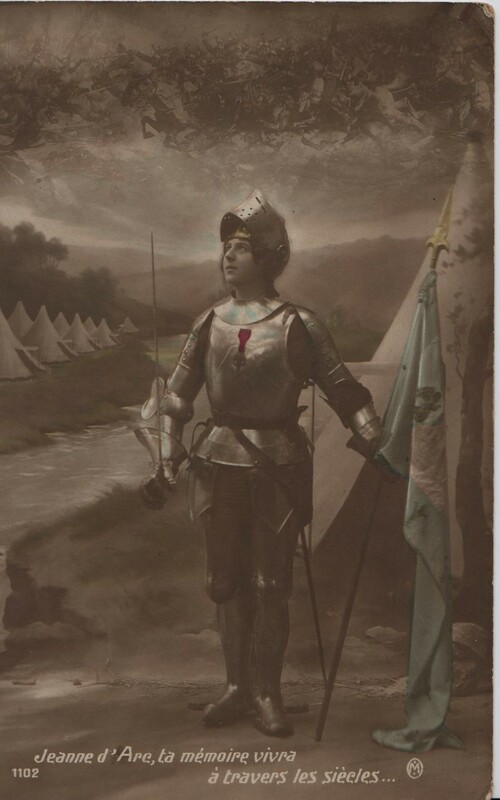 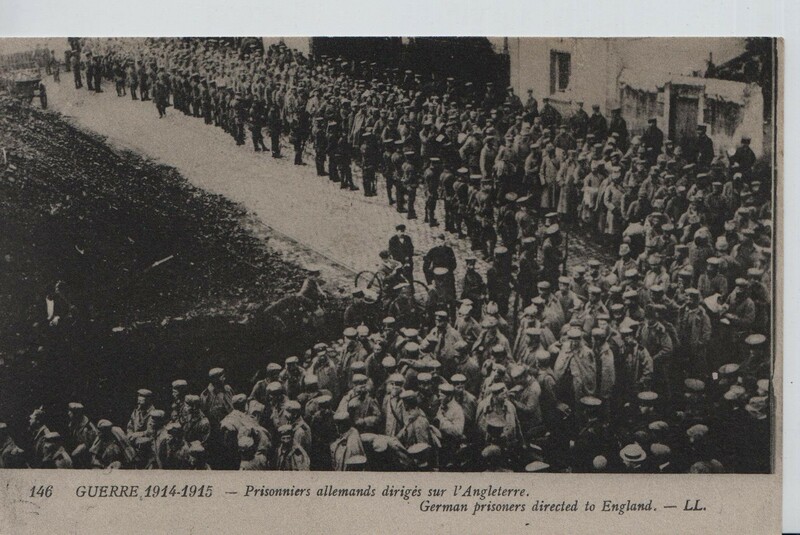 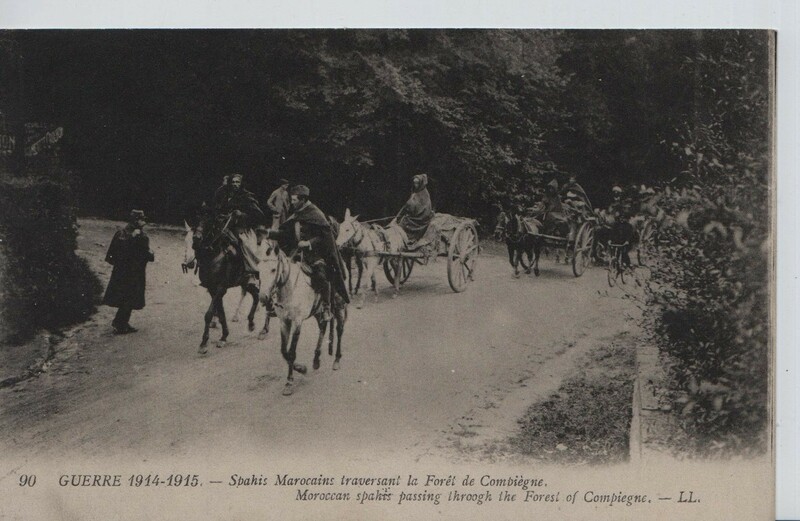 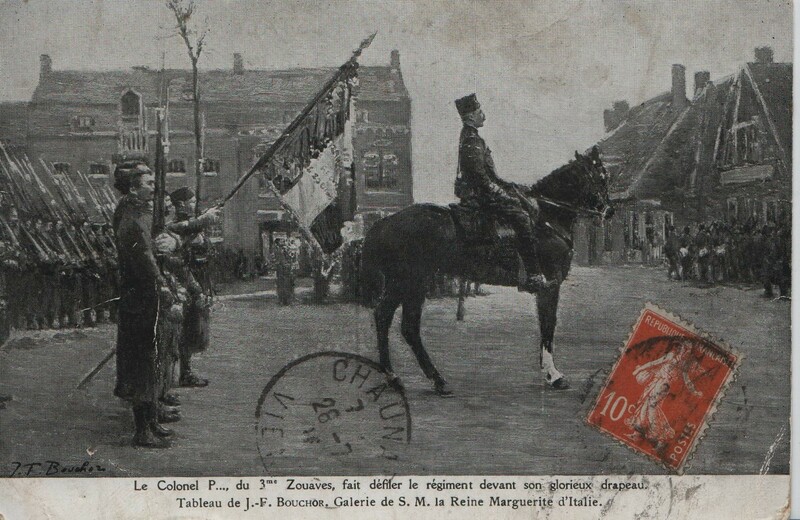 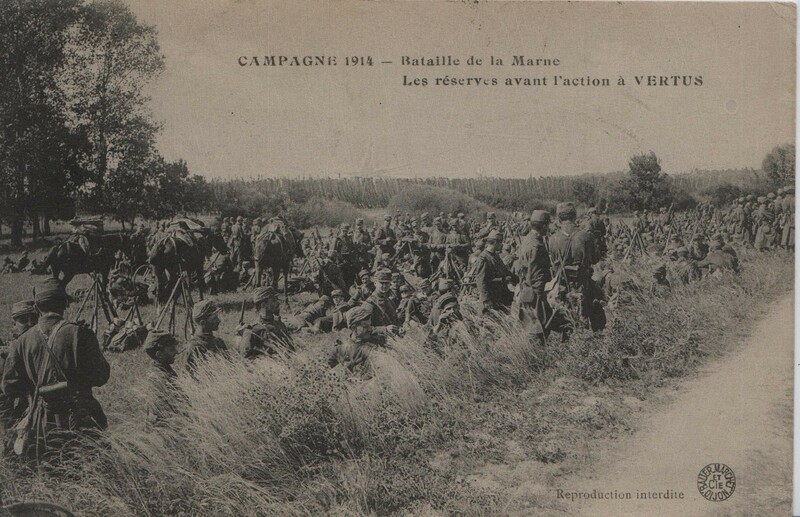 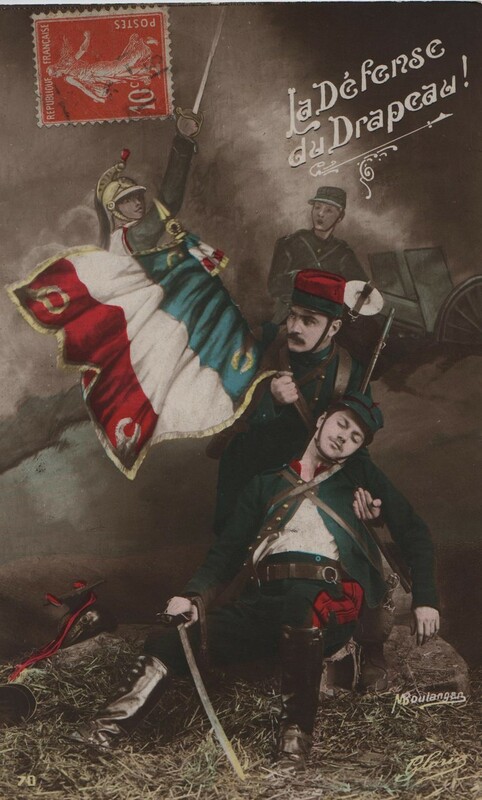 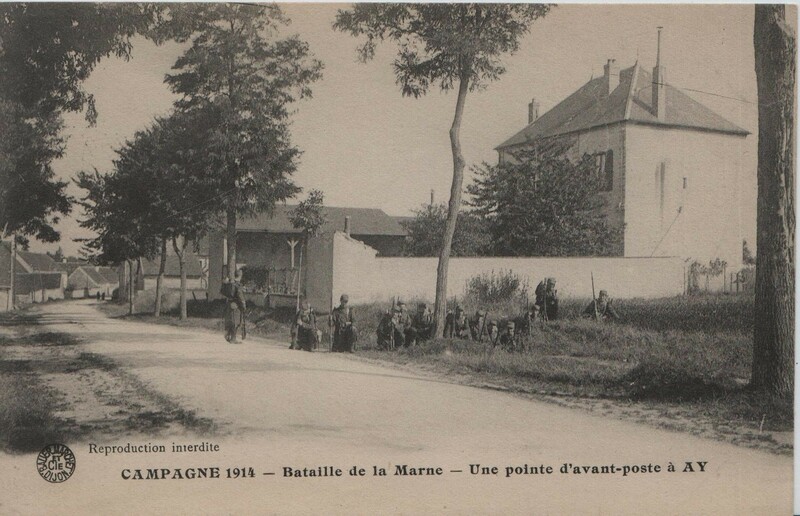 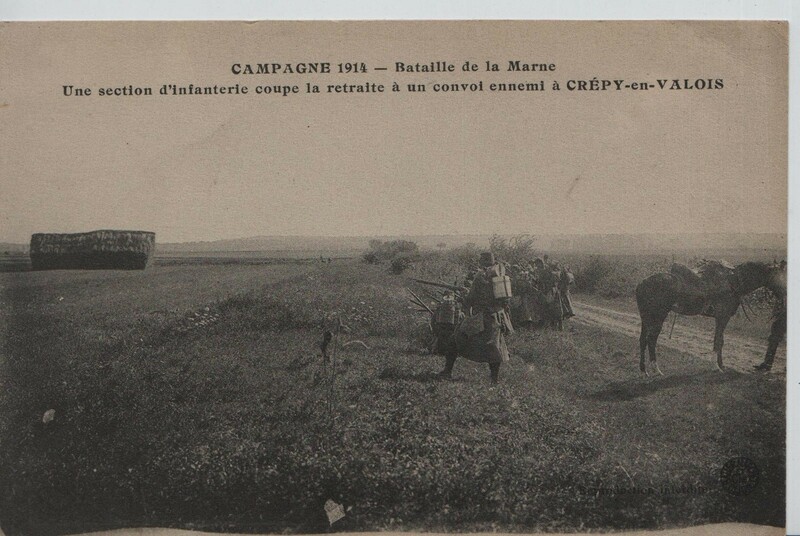 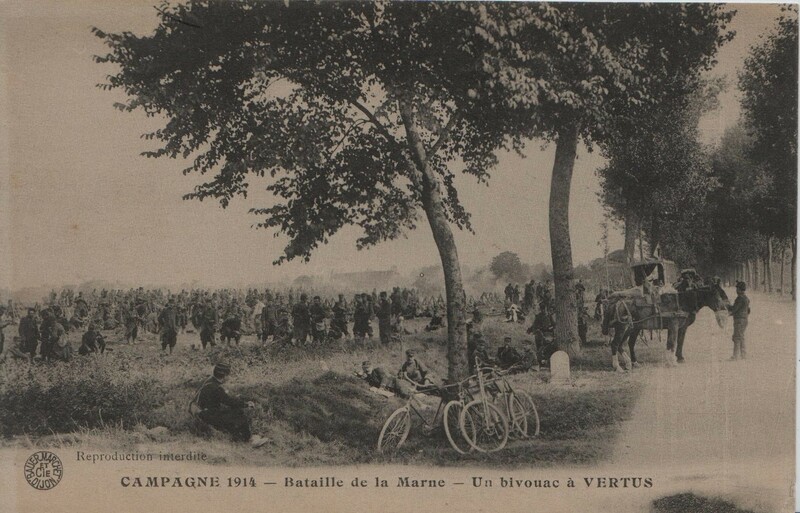 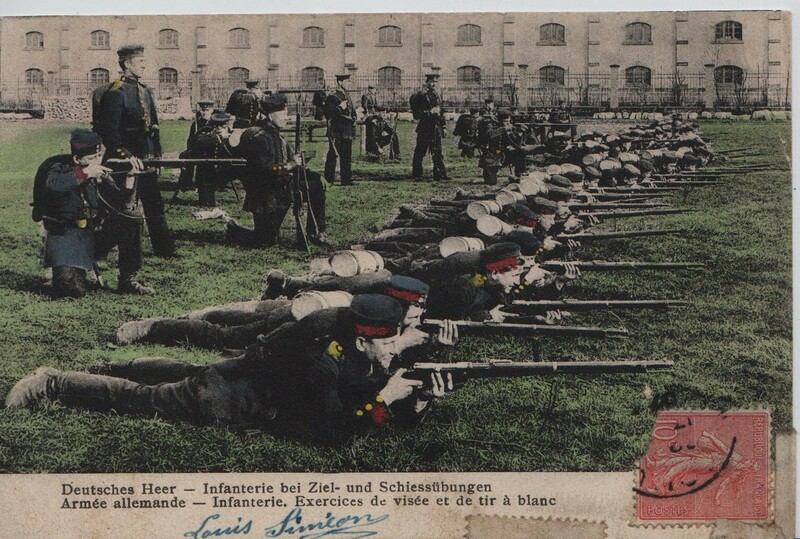 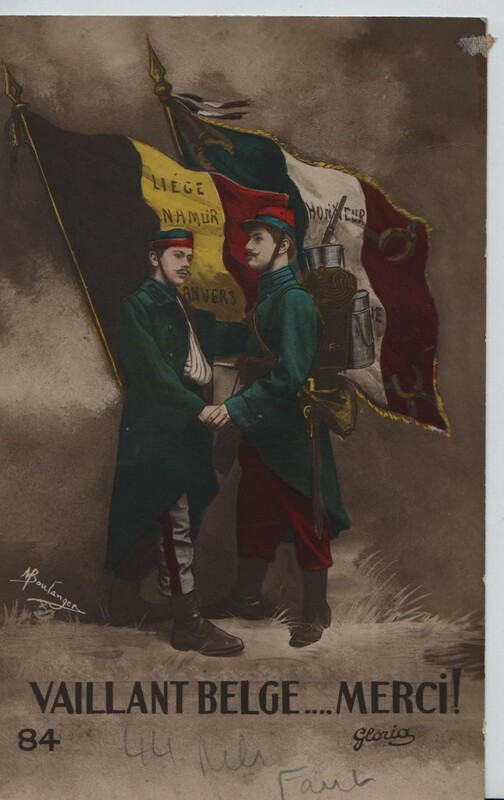 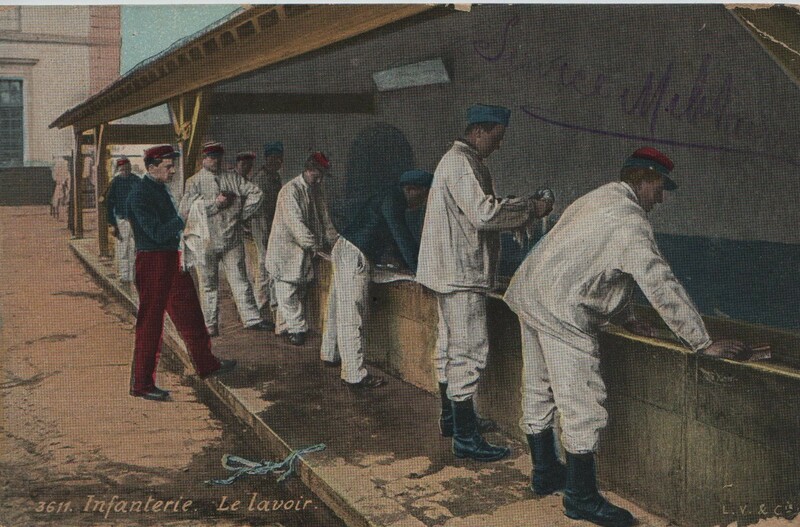 It is possible that the movement of troops mentioned in this postcard might be related to the preparations for the second battle of Artois.